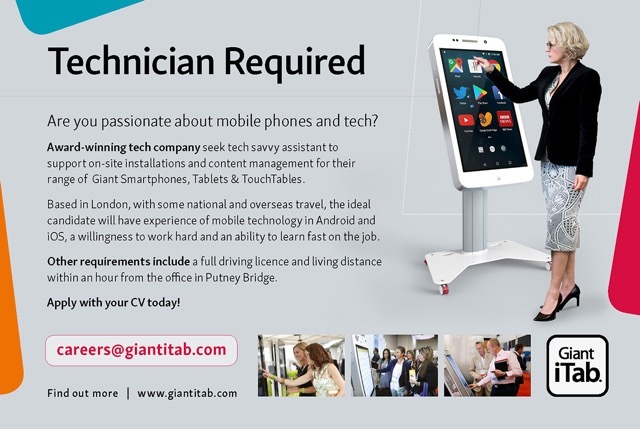 Fast growing Event Technology Company based in Putney, London, seek an organised and pro-active Sales & Operations Manager based in London. The role requires a self-starter with some events, mobile or AV Tech experience to assist with sales and operations of UK & International event tech rental markets. 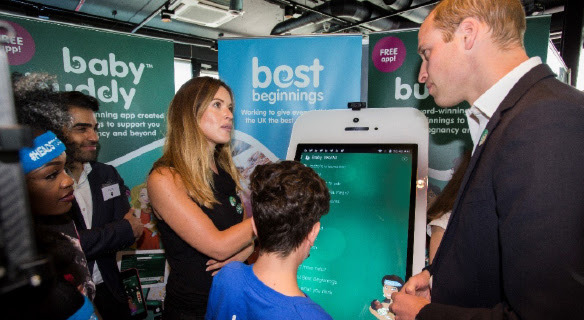 Touch2view Limited are creators of the Giant iTab – an award-winning touchscreen technology in the form of Giant Smartphones & Tablets for creating digital engagement and interaction for retail, corporate, banking, exhibition and event organisers both in the UK and overseas. They are a small but fast growing London based company with an enjoyable & challenging environment offering good personal and professional development opportunities for the right candidate who can contribute significantly to their global growth plan. 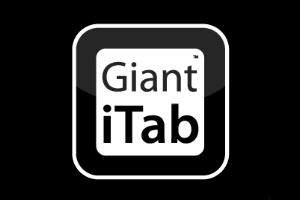 If you would like more details or to apply for the role, you should go to this link – Giant iTab. 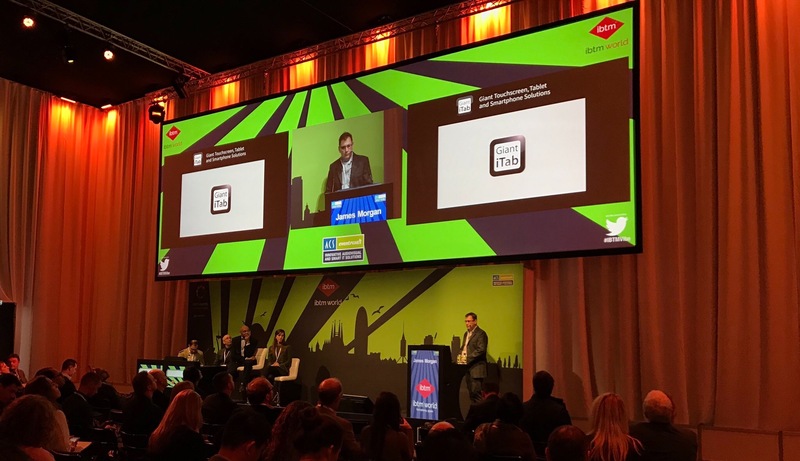 Image: Fresh Tech at ibtm World Barcelona November 2016. 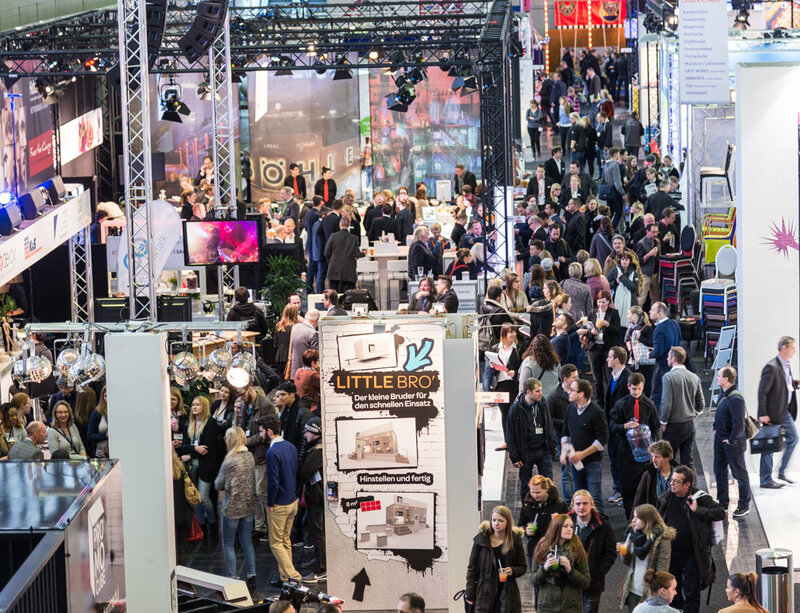 Join us to keep up to date with the freshest developments in event technology. 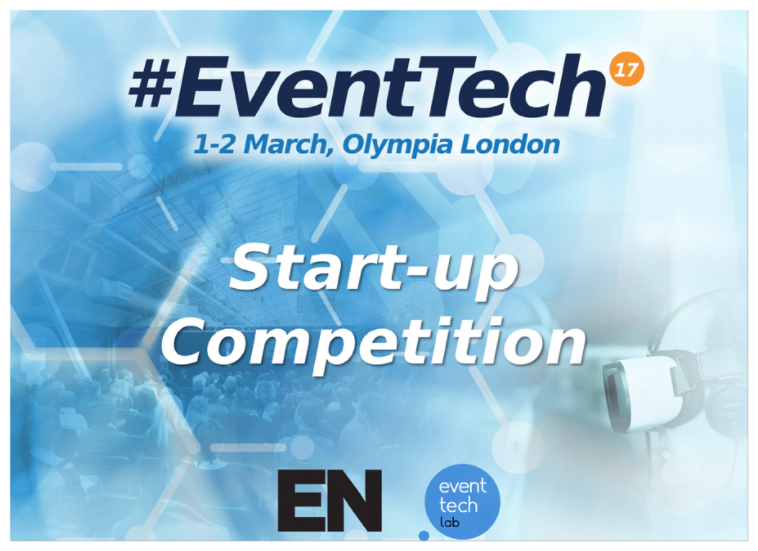 Technology pitches and demos will be followed by the announcement of the technology start-up winner of the Exhibition News competition to WIN a free exhibition stand at #EventTech17, co-located with International Confex, Event Production Show and Office* (Olympia 1-2 March 2017). We will also be hosting a panel discussion on PR – What’s The Story? 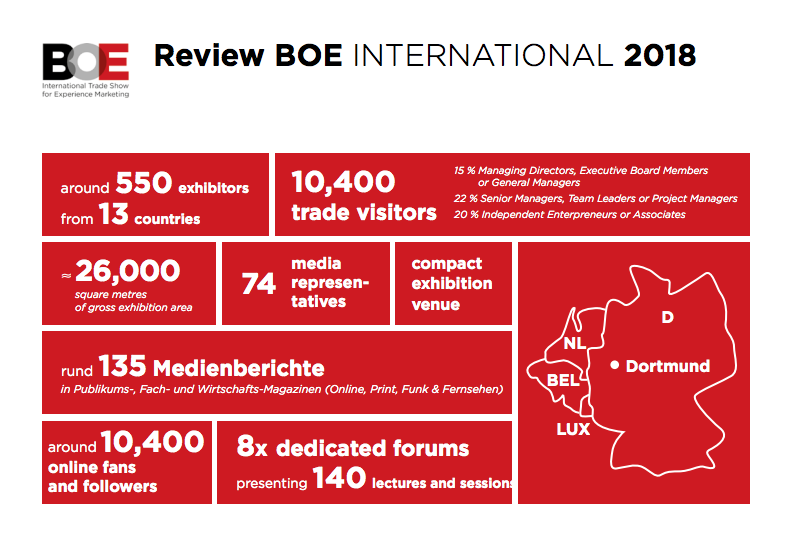 6.00pm – Meet and network. 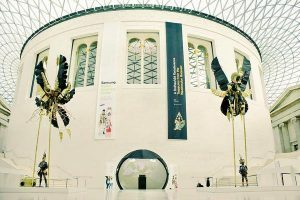 7.20pm – Winner announcement by Annie Byrne, Editor, Exhibition News. 7.25pm – Panel discussion – What’s The Story? Huckletree Shoreditch, Exhibition News, Mash Media. Transport your audience, together with Sublime! 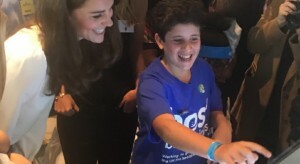 Attend our showcase event in London, where we will be explaining the concept of shared immersion and how it can make an impact in events & experiential marketing through offering a unique immersive experience for your audience. We’ll also be demonstrating the Portal, our pop-up shared immersive solution and, by using some of our own bespoke VR content as well as publicly available 360° film content, that will transport you virtually back in time, to the future, underwater and into outer-space! 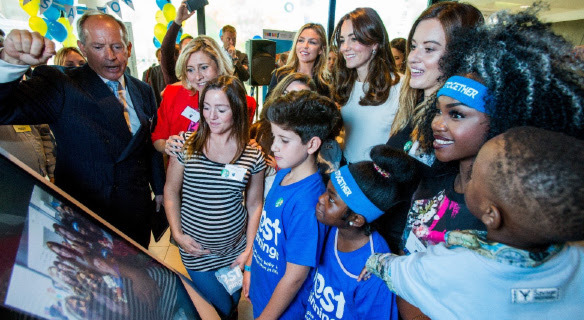 Sign up today to get immersed.